Wall Watthead Live at the PETA Theater Center - Hello! Welcome to my blog! QUEZON CITY, PHILIPPINES – Light bulbs falling in love? Photo frames as leading ladies? How about simcards as dashing sidekicks? 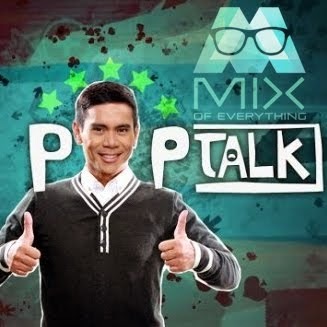 All these and more in PETA Theater Center’s upcoming treat for the whole family ! 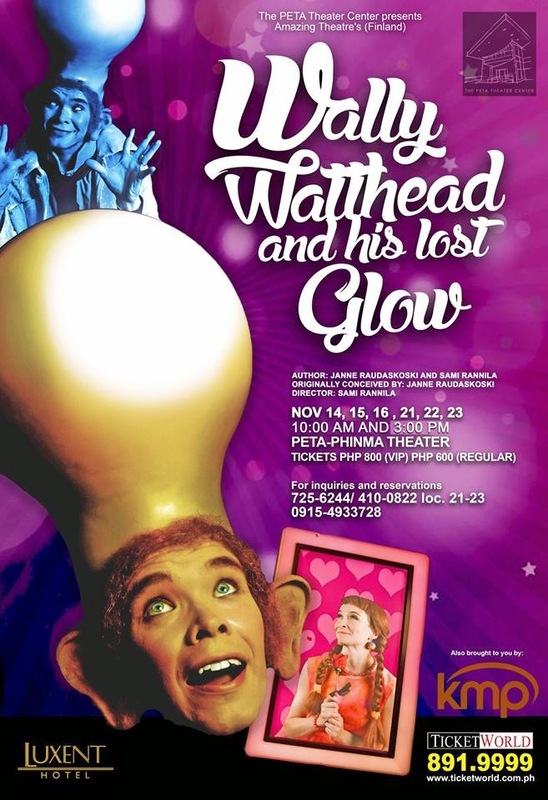 This November 14-16 and 21-23 every 10 am and 3pm, the PETA Theater Center stages Finland’s Amazing Magic Theater’s Wally Watthead and his Lost Glow. Join Wally Watthead, his best friend Simon the Simcard and leading lady Polly the Picture, as they try to find out: where did Wally’s light go? 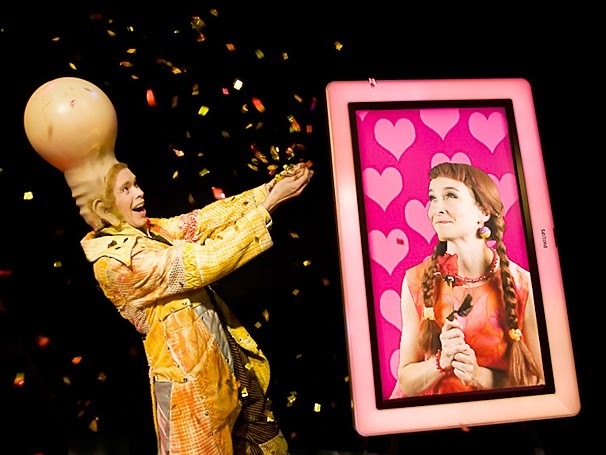 In this children’s show devised by magician Janne Raudaskoski, lead character Wally Watthead levitates, shrinks and grows right before your very eyes ! 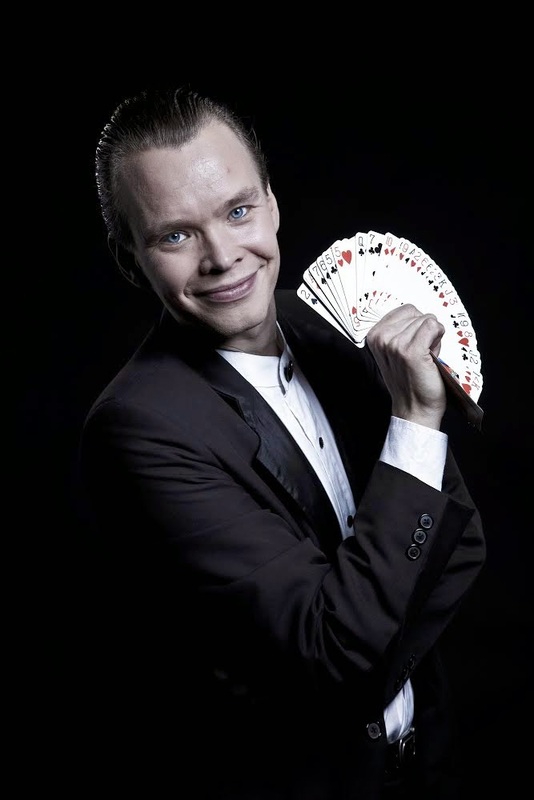 Raudaskoski not only does magic tricks, but also acts onstage with multi-media characters such as screen-projected Polly Picture, played by Tuija Nuojua Raudaskoski, and an interactive robot-like mascot of Simon the Simcard, voiced by Jonathan Hutchings. 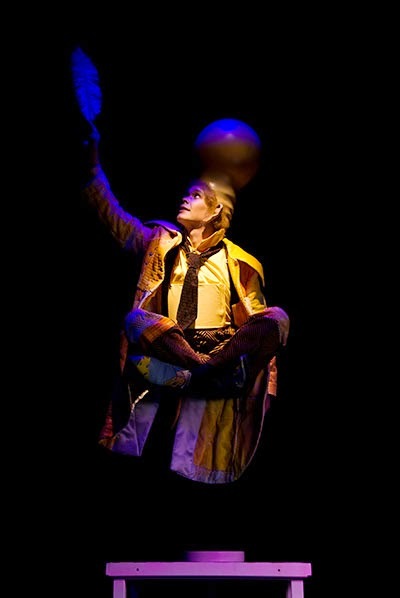 Wally Watthead and his Lost Glow combines magic, clowning, mime, black light theatre, video, various special effects, and plenty of laughs for kids, parents -- and even grandparents -- to enjoy! 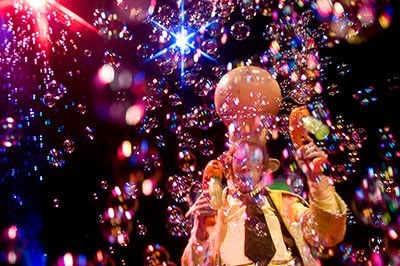 Once again, the PETA Theater Center flips the cliché “all the world’s a stage” through its latest offerings, and becomes ‘a stage to all the world’ by hosting unique international performances such as Finland’s Wally Watthead and his Lost Glow.